The results of the Full Tilt Poker AGCC Hearing are still to be announced, but should be released soon. 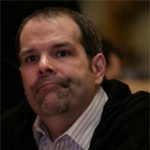 According to sources Full Tilt Poker have secured an investor deal with an "intent to purchase" from a French company which may replace all current ownership and repay all players who are owed money, the recent deal was brought to light at the AGCC hearing which took place in private last Monday and Tuesday. 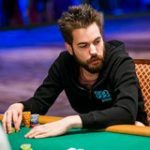 FullTiltPoker's lawyer has urged the AGCC to hold back on their decisions for at least 30 days while the new French owners to replace the current owners. Both the DoJ and AGCC are aware of the new investors deal and are currently vetting the funds from the investor. However if the AGCC come to a decision within the next few hours and revoke Fulltilt Poker's gaming license, the company could possibly fold if they lose their investors, in this circumstance none of the online poker players will ever be paid out. With so much at stake in the next few hours, we certain hope the AGCC ruling is in the best interest of the players as I'm sure they are all waiting for the final outcome of the meeting. 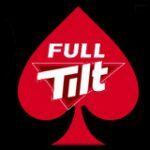 Let's hope that Full Tilt Poker managed to convince the AGCC to grant an extension for the new owners to take over and restore Full Tilt Poker under new ownership in the best interest of the players who are owed funds. "Right now it is important to encourage the AGCC to delay any ruling for a minimum of 30 days in order to permit a timely transition to a new ownership structure. The AGCC is aware of the identity of the new ownership group. It does not involve anyone associated in the slightest way with the current FTP membership. I plead with all of you to do this and unite in this one effort. A negative AGCC ruling will cause all efforts that have been undertaken to secure this investor group to fail and leave customers in the cold. It is not necessary for the AGCC to issue any negative ruling now. The company is not operating and there are investors truly interested in closing a deal with the company. I can assure you that the investor deal includes repayment of ALL player obligations. We have come too far in these months since Black Friday to let this fall apart now. Please." 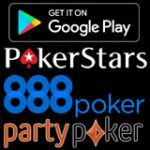 Some sources say that AGCC decision has been made to evoke Full Tilt Poker gaming license but nothing has been officially confirmed as of yet but an official announcement will be made within the next few hours. Updates will be posted as soon as information is released. Players can do their bit to help by signing an online petition or emailing andre.wilsenach@agcc.gg requesting the AGCC not to revoke FTP license, this may help in the efforts for players to be refunded their Full Tilt Poker money.